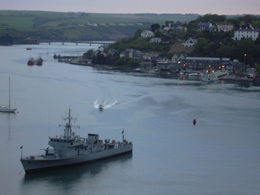 There is of course so much to do in Kinsale that deciding where to start can be troublesome. We have included a few links for your perusal on this subject. What we would like to draw your attention to here are the beautiful strolls and walks that beckon from the door of The Spaniard. Firstly there is the Lower Road. This almost level walk follows the line of the harbour outwards towards the ancient Charles Fort. It is an ideal spot for anglers too - the Conger Hole can produce fantastic fish. This tree-lined walk is liberally marked with seats where you can enjoy the views of the waterfront and the passing yachts, or the gentle shade of the trees. The Upper road asks a little more effort from you but the spectacular views over the harbour are just reward. This higher road also brings you to Charles Fort which when open is definitely worth a visit. 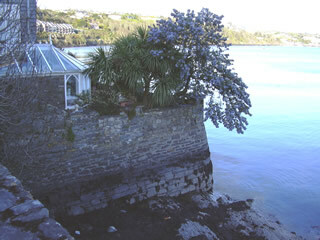 Just look at our links page to see how much else is to be seen in Kinsale. And at the end of your adventure, come for a great evening meal to The Spaniard.